Founded in 1925, Wolberg Lighting Design and Electrical Supply is dedicated to providing consumers and builder professionals with quality lighting products at competitive prices. Our showrooms in Albany, Kingston and Saratoga Springs, New York are staffed with lighting experts to guide you through the process of deciding on the best plan for lighting your home or business. They can show you how to use lighting to make your home or business safer, more comfortable, or to create a dramatic design statement. Whether you are renovating a kitchen, updating your bedroom lighting or moving into a new home or office space, you will find the best lighting fixtures for your budget at Wolberg Lighting Design and Electrical Supply. 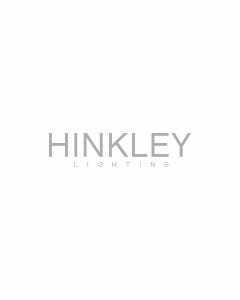 We are proud to carry product lines from over 100 manufacturers, from Progress, Craftmade, Hinkley, Hubbardton Forge, Kenroy, Kichler, Juno, Murray Feiss, Minka, Nulco, Schonbek, Sea Gull Lighting, Casablanca, Lightolier, Lutron, House of Troy, Elk, W.A.C. Lighting, Artcraft, Hadco, Hudson Valley Lighting, Corbett, Crystorama, Fanimation, Forcast, Meyda Tiffany and Thomas Lighting. Whether you prefer contemporary or traditional designs, we have the best selection in the area. Let Wolberg shine a little light on you.